Every gardener dreams of a perfectly trimmed lawn and even hedges, trademarks of a fairytale garden. With reliable garden shears, this isn’t difficult to achieve. That’s why this article aims to help you uncover the mysteries of getting one. At the end of these garden shears reviews, you can read our short buying guide. Let’s take a look at some great and popular shears on the UK market. The products below are all tough and sharp, but they have different designs and construction features that recommend them for different purposes. The ARS ARS-KR-1000 shears are very reliable, but their qualities are matched by a rather steep price. However, if you want a good tool to help you trim your hedges with maximum accuracy, this is it – especially if you’re a newbie. These garden shears are made from quality materials, considering the blades are high carbon-steel, which is a sturdy, yet light material. The hard chrome-plated coating applied is also resistant to scratches and wear and tear marks. On the other hand, the grip is made from plastic, when a rubber grip would have been more comfortable for prolonged use. The 180 mm blade length with a 3.8 mm thickness shows this is a powerful tool. The two blades are held together by a large M4 screw, which offers increased torque and security. The pipes are ergonomically designed, to reduce fatigue and absorb shocks, which shows user-friendliness. 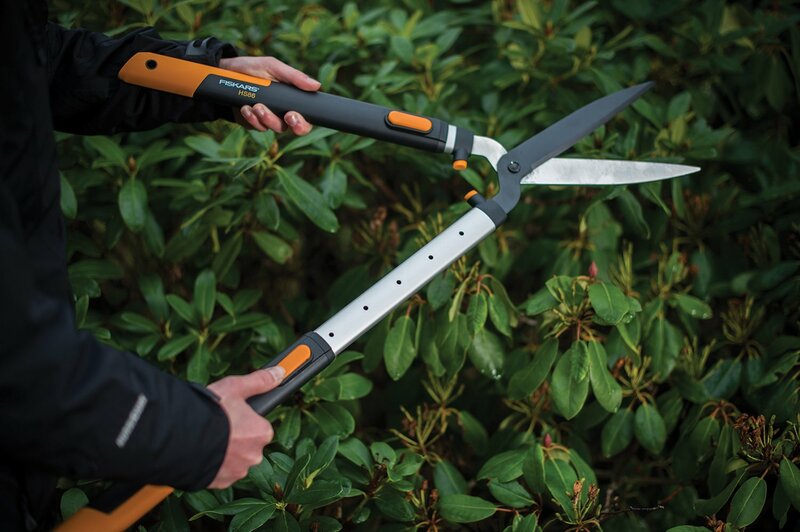 These shears are great for trimming hedges thanks to their shape and telescopic design, meaning their handles have an adjustable length between 720 to 1050 mm. This is an advantage for smaller people, as well as for reaching high-hanging branches. The materials used are top notch. The blades are made from an incredibly sharp steel and the fibreglass composite handles offer increased protection against slippage and wear and tear. These telescopic shears are light and ergonomic, which is particularly important considering they can extend quite much. Besides, it’s easy to elongate them and are very effective. You get 25 years warranty on it – good value for money. 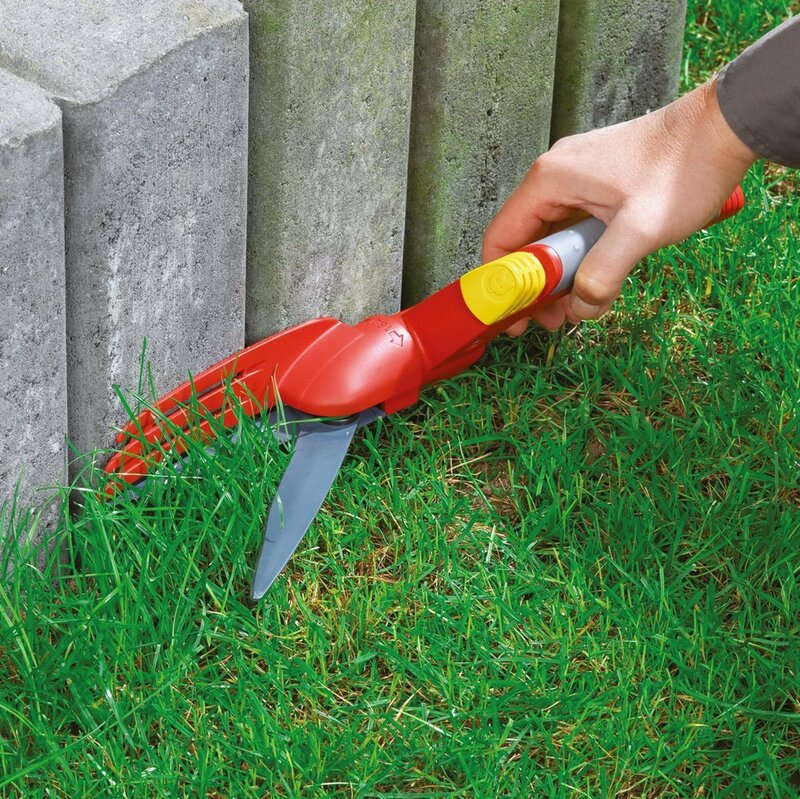 Spear & Jackson manufactures quality garden products, and on the product page you’ll be able to find some great lawn edge shears too. The blades of this specific product are long and curved, which is perfect for cutting the edges instead of using your trimmer. They are manufactured from hollow-ground C50 carbon steel, which is a tough and resistant material. The blades are also polished and lacquered to fight against rust, while the handles are made from tubular steel. These strong materials are furthermore lightweight, which is a definite advantage. These shears are light and ergonomic, with soft feel grips that avoid hand fatigue. However, their overall length might be too short for tall people, who would have to bend and trim the lawn in an uncomfortable position. They also feel a little stiff when you start using them, so it’s better to oil them up first. These hedge shears from Spear & Jackson are extremely tough, thanks to their C50 carbon steel blades. To top that, the shears are hardened and tempered for a longer life, and chrome-plated to resist rust. The handles are made from aluminium, a material that’s fairly resistant. On the other hand, even if the grips are non-slip, they’re not exactly ergonomic. Still, the shears are shock-absorbing and lightweight, which makes them fairly comfortable and easy to use. 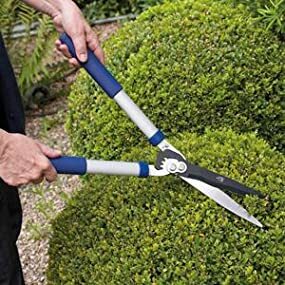 A definite advantage when it comes to trimming hedges, these shears are also notched, which helps you cut thicker stems. The disadvantage is that they might feel a bit stiff at first, but you can always oil them up before using for the first time. Also, the handles are fairly long – another good value for money product. These shears boast a high-quality design, which makes them really sharp and long-lasting, with a 10-year guarantee. The guarantee itself says a lot about the product quality, especially for a pair of cheap garden shears like these ones. They are designed to trim lawn edges without any leftover grass clippings left in your borders. Apart from the sharp blades that increase the accuracy, the incorporated deflector is of great help while cutting the grass, considering it flicks the clippings back. Another design advantage is that these shears come with a 180˚ rotating head, so you can trim at any angle. This has two main conflicting consequences: 1) you can use the shears with both hands, and 2) they might feel slightly awkward to manoeuvre in hard-to-reach corners. The blades are non-stick coated, which is an advantage for increased accuracy and low-maintenance. Besides, this is one pair of single-hand grass shears that don’t pinch your hands! On the other hand, the plastic handle might not feel so great for prolonged use, considering that it might actually cause some blisters. 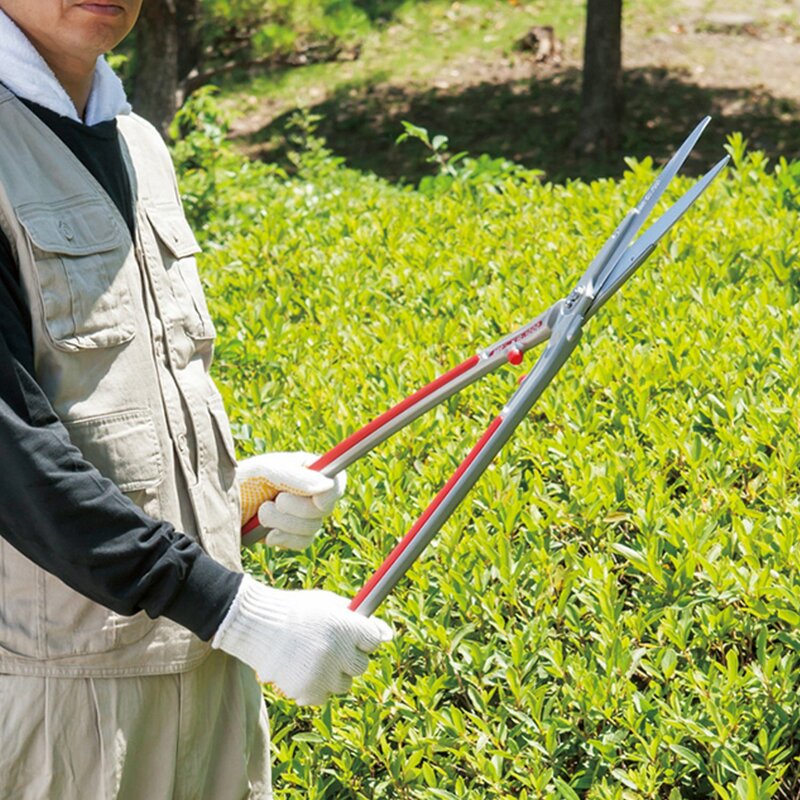 These pruning shears are a must if you want to cut stems and branches with a diameter of up to 2 cm. They are incredibly light and the high carbon alloy steel blade is sharp and effective, especially considering these shears benefit from an antitrust processing. The safety lock is easy to open and close but provides an additional security system that’s always valuable. Besides, the handles are spring-loaded, with an included replaceable spring, but you need quite a bit of force to use, so prolonged use might have an effect on your wrists. The wood design for the handles looks stylish, while the hard PC makes them really strong. Unfortunately, this material also makes them less ergonomic and less comfortable to use. Still, the lifetime warranty ensures that this is a product with an increased life expectancy, built from quality materials that offer a good value for money. Getting your hands on the best shears is just a few scrolls away. This short buying guide will enable you to find the right shears for your purposes, detailing all the factors you need to take into account before making a purchase. It’s important to buy products manufactured from quality materials, everyone knows that. For gardening shears, this means an alloy blade, such as carbon steel, which is sharp and resistant, as well as fairly lightweight. The handle material is equally important. Aluminium or steel handles are strong and durable, but they weigh more than plastic handles. Conversely, plastic is less resistant and definitely not as comfortable for prolonged use. The coating is essential for an extended life, protecting your shears’ blades from rust, as well as the normal wears and tears. There are various substances used for coating, but the best are chrome-plated and nickeled ones. This issue depends on the purpose you need the shears for. Longer blades are great for trimming hedges, especially taller ones, while shorter blades might be better for activities that don’t require you to get to hard-to-reach corners, like pruning. Bent long blades are good for edging the lawn, especially if you don’t want to bend a lot. But there are some shears with shorter blades that can be employed for grass cutting, so what’s the difference? 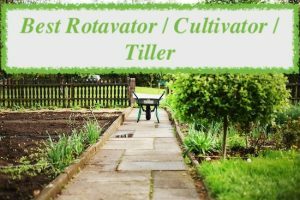 Well, the first type of garden shears is better for prolonged edging, while the second is better for tweaking and perfecting corners that are difficult to reach. In the case of long-handled garden shears, handles that are too short disadvantage tall people, while handles that are too long prove a nuisance for short people. An inappropriate handle length leads to you bending awkwardly or gripping the handles incorrectly, which leads to back pain associated with prolonged use. On the other hand, telescopic handles that have an adjustable handle length benefit most people. But handle length is equally important even if you don’t want long-handled garden shears. That’s because a handle that’s too long might need you to apply more force, thus posing problems to your wrists, while a handle that’s too short might lead you to cut your hands. A good grip makes the shears more comfortable for extended use. That’s why you should look for an ergonomic design that fits the anatomical structure of your hand. A reinforced patch of rubber on the handles softens the grip a little, which helps you avoid getting blisters on your hands. The type of blade jointing is related to various issues. For example, a screw is better than a pivot cap because it lasts longer. But the type of screw that joins the two blades together is equally important. A screw that offers increased security might prove too stiff, so you would constantly need to readjust or oil the shears. On the other hand, a screw that’s too lax makes the shears lack control, which decreases the overall accuracy of your cutting. Some people find single-hand shears less comfortable than double-hand shears, but you need to consider other factors when making the choice. As such, single-hand shears are intended for precision cutting, such as pruning or trimming difficult to reach corners. On the other hand, double-hand shears are intended for prolonged periods of time and bulk work. Pro tip: when you’re choosing single-hand shears, make sure their design accommodates your dominant hand. Extras show user-friendliness, while a good guarantee attests the durability of a certain product, eliminating pre-purchase fears of not buying a quality item. 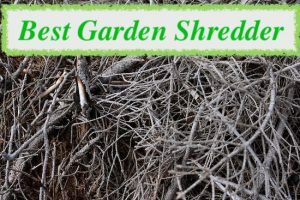 Most guarantees cover at least a year or two, while some of the best garden hand shears come with lifetime guarantees. Usual extras included in the package are spare parts, which is usually the case for more affordable items. Don’t get blind-sided by the extras when you’re making a purchase, though, and ensure the product you’re getting is high-quality. 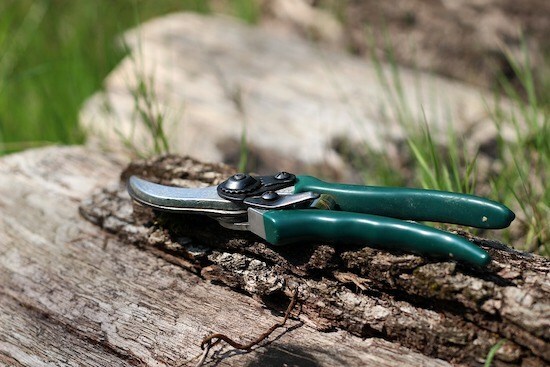 Before buying a pair of garden shears, you need to take into account the various factors we discussed above because each pair of shears serves a different purpose. After you have a clear picture of what you need, you’re bound to find the right shears for your needs.